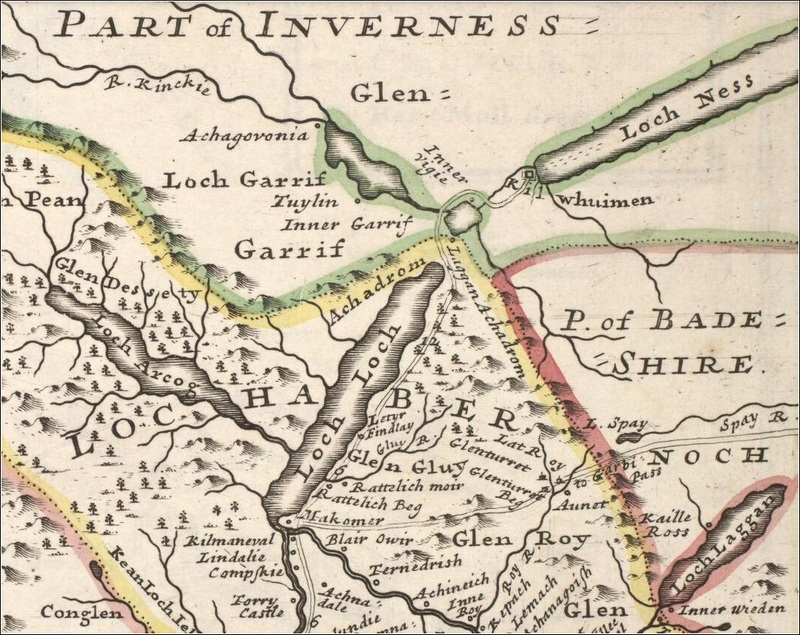 The site of this battle is a field northeast of Laggan Locks, beside the Allt an Sidhein - about 1km from the hostel. The battle took place in the summer of 1544, on a day which was so warm that the men took off their plaids and fought only in their shirts. 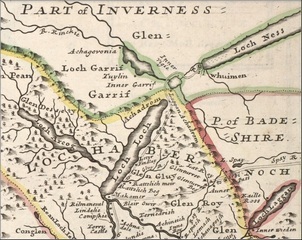 Five hundred men from Clanranald and Clan Cameron fought three hundred Frasers and Grants; reputedly eight men survived on the Clanranald side, and five on the other, and the loch was red with blood for days after. 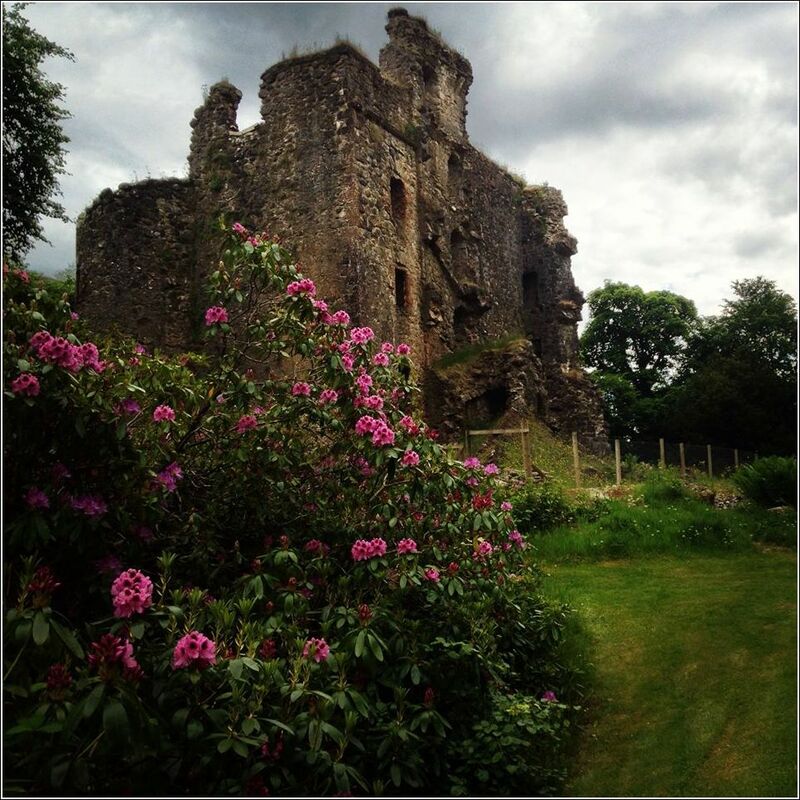 The castle was the seat of the MacDonnells of Glengarry, built in the 17th Century in an imposing situation above Loch Oich on 'Creagan an Fhithich', the 'Raven's Rock'. The castle was damaged, and then repaired, after the 1715 Jacobite Uprising, and burned by the Duke of Cumberland after the 1745 uprising. Bonnie Prince Charlie stayed here both before and after the Battle of Culloden. The castle is on the minor road to the Glengarry Castle Hotel (turn off the A82 about 4kms north of the hostel). If you are paddling, there is a great view of the castle from Loch Oich. This gory monument is beside Loch Oich, across the road from the shop. It was put up by Alasdair Ranaldson Macdonell, the 15th Chief of Glengarry, to commemorate the 'Keppoch Murders': in 1663 the young chief, Alasdair Macdonell, and his brother, were murdered at Keppoch supposedly by their uncle, the tacksman of Inverlair. MacDonald of Sleat ordered a reprisal - the beheading of the tacksman and his six sons. The monument is sited at a spring where the heads were washed before being presented to the chief at Glengarry Castle. 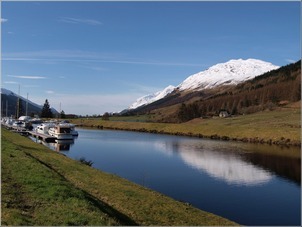 The Caledonian Canal was built by Thomas Telford between 1803 - 1822 to provide a safe route for shipping from the east to the west coast of Scotland avoiding the dangerous waters around Cape Wrath and the Pentland Firth - and to reduce the risk of attacks from French pirates during the Napoleonic Wars. The section known as 'Laggan Avenue' runs behind the hostel between Loch Lochy and Loch Oich, and a footpath (part of the Great Glen Way) meanders through the trees on a ridge beside it formed from the massive amount of earth and rocks which were dug out to make the canal. The Spean Bridge - Fort Augustus railway line was constructed between 1897 - 1901 with hopes to extend the line as far as Inverness. The terminus was at a pier in Fort Augustus where passengers could connect with steamers on Loch Ness. 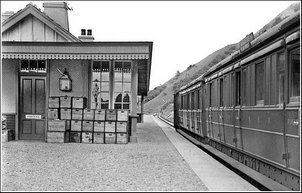 Unfortunately the Invergarry and Fort Augustus Railway Co. used up all their funds building the track, and had no money left for rolling stock, so the line was rented out to the Highland Railway Co., who ran services from 1903. The railway was little used and a financial disaster, and was sold for less than a tenth of its construction cost to the North British Railway Co. in 1914. Passenger services ended in 1933, and the line was used for freight until it closed in 1947. The railway ran along the forest edge across the road from the hostel. 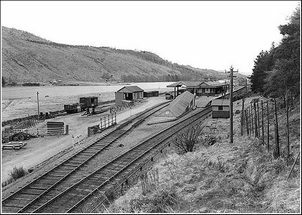 The old Invergarry station is 2kms north of here along the Great Glen Way. A Preservation Society was formed locally in 2012 with the aim of restoring the station and creating a museum. Vegetation has been cleared and track laid - visitors welcome to see the latest developments. If you would like to learn more about the history of this area or research your roots, the Glengarry Heritage Centre in Invergarry has extensive archives, exhibitions, and a reference library.